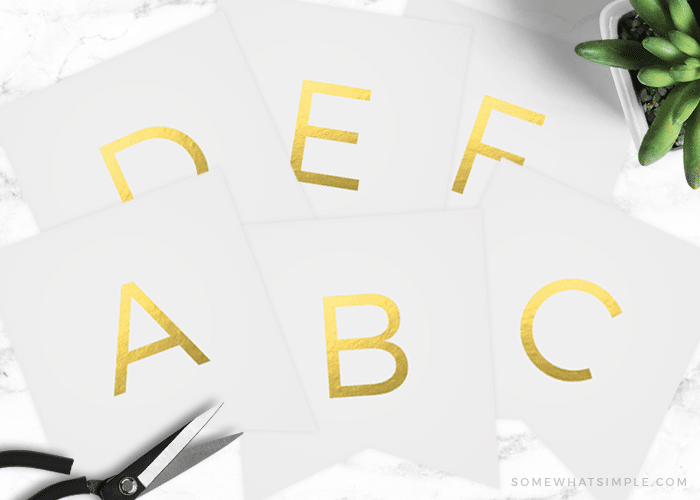 Free Printable Gold Banner | Includes Entire Alphabet! 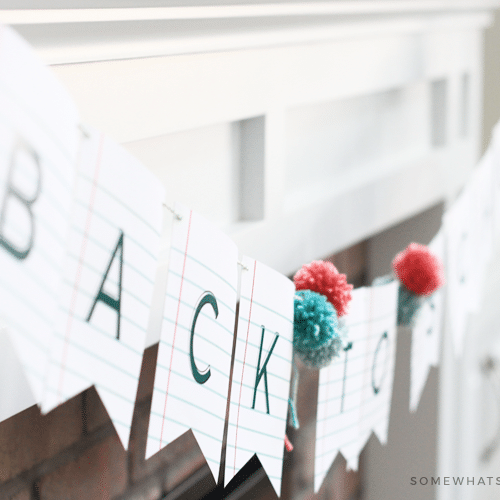 This versatile Gold Banner printable is something you’ll want to keep handy! 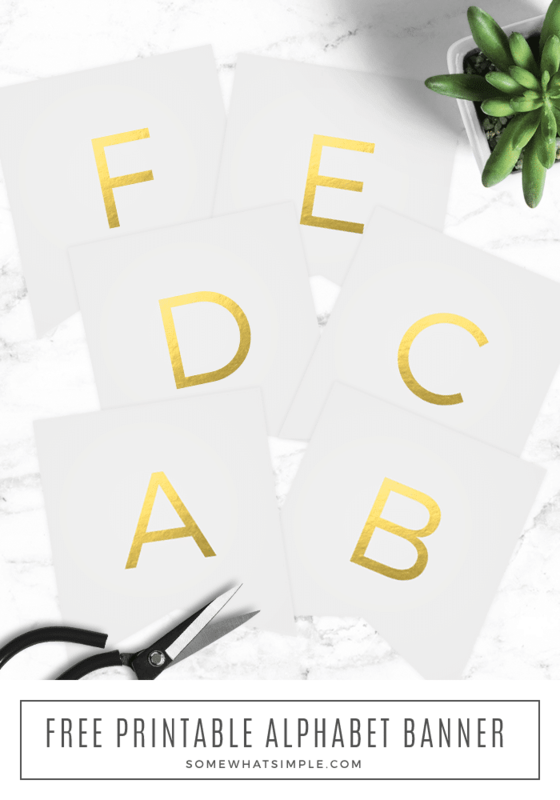 All 26 letters of the alphabet are included, so this printable is perfect for anything! 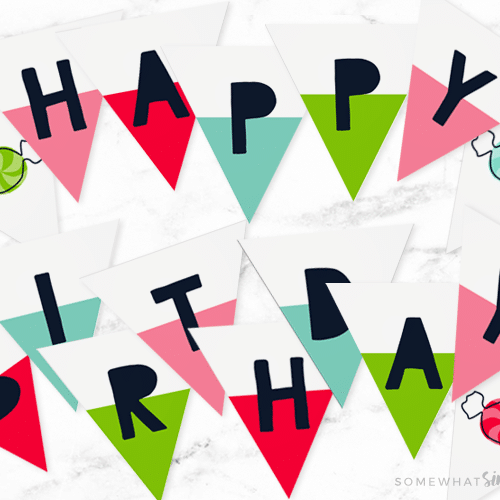 Print out the letters you need and create your very own banner for any occasion. 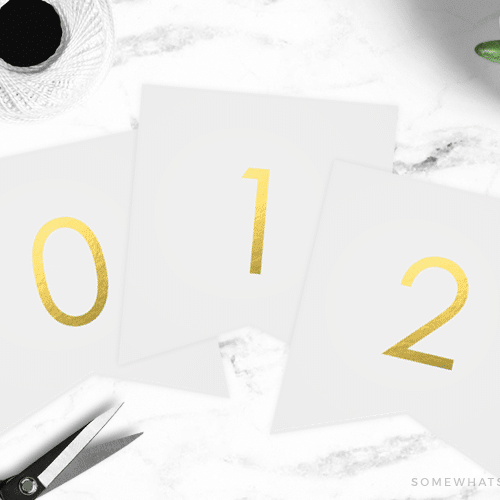 New Years Eve prep is in full swing over here, and in addition to our Countdown Cupcakes and our NYE Backdrop, this gold banner is making another appearance in our home… and it looks amazing! First, print off the letters you’ll need for your individualized banner. Each letter is on a single page, so if you’re spelling out HAPPY, you’ll select the H, A, P, and Y pages, making sure you print off the P twice. Cut out, and laminate (optional) your letters. Using a paper hole punch or tape, attach your letters to your string or twine. Hang up and let the festivities begin! The file is a 26 page PDF, so it will take you some time to download. Please be patient. Each piece of the banner (each letter) is one full page- a standard 8.5 x 11 inch. We found it best to print on cardstock for durability. We also recommend laminating the letters for use in the future. Ready to download your gold banner alphabet? This post originally published on Somewhat Simple in 2014 and was updated in 2018 with a fresh new design and images. I LOVE this banner!! Pinning so I can use later!!! I only want to print individual letters. How is that possible? thank you for this! do you have numbers? Fabulous Gold Banner…Thank you Very Much. You are a Life Saver. God Bless YOu !! Thank you so much for the free banner. It is beautiful and I know where I will be using it. Thank you so much for posting the free gold banner! I am getting my K5 door ready for the school year and your banner design is perfect for our celebrity theme.